Adam graduated from the United States Military Academy in 2006 with a B.S. in Systems Engineering. He commissioned as a Signal Officer and later specialized in psychological operations. 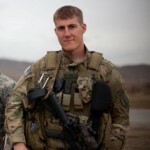 Adam served in a variety of leadership positions within the Army and completed multiple deployments that included assignments in Afghanistan and Central Africa. He is currently pursuing his MBA at the Yale School of Management as a member of the class of 2017.